Stuck on what to cook your other half this Valentine's Day? This gourmet menu, complete with canapés and cocktails, covers everything you'll need to make it a night to remember. If you’re planning a romantic meal for two this Valentine’s Day, look no further – this menu, complete with canapés, cocktails and petit fours, is guaranteed to please anyone who loves good food and drink. If these dishes aren’t your cup of tea, then take a look at our romantic starters, romantic mains and romantic desserts for a little more inspiration. First things first – an aperitif always starts any loved-up feast on the right track. 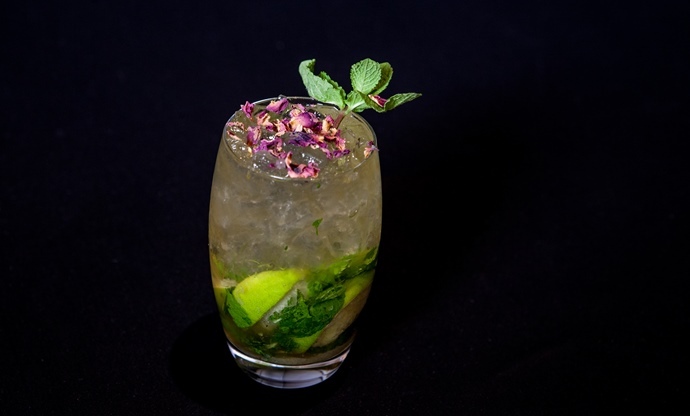 Anna Hansen’s twist on the classic mojito takes the floral flavour of that most romantic of flowers and combines it with a generous splash of rum, mint leaves and lime. Kick things off in Michelin-starred style with these incredibly easy eye-catching scallops from Josh Eggleton. 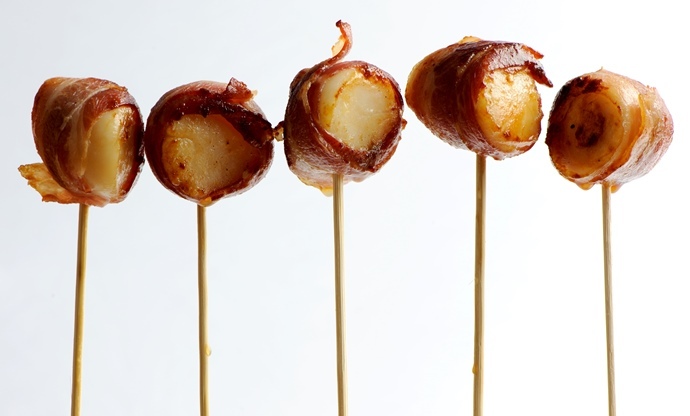 They really are a doddle to make – just wrap the scallops in bacon and fry until crisp – but the genius is in the presentation, using long cocktail sticks to hold them upright like lollipops. We can guarantee they won’t last long on the table. 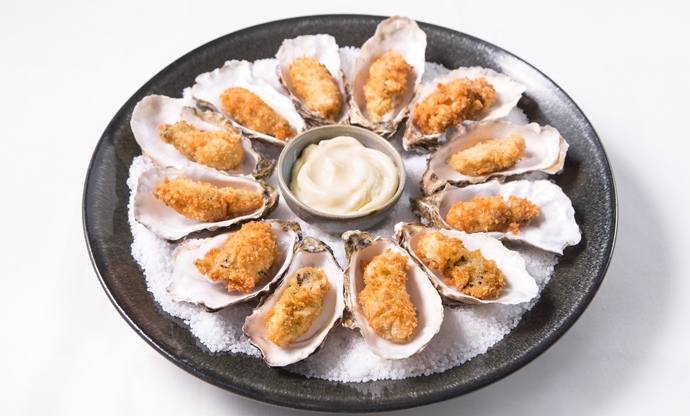 Oysters are the ultimate aphrodisiac (or so we’re told), so get shucking for this delicious starter from seafood guru Nathan Outlaw. They’re perfect if you’re not a huge fan of eating them raw, as they’re covered in a crispy coating and fried, with a nice pot of mayonnaise for dipping. 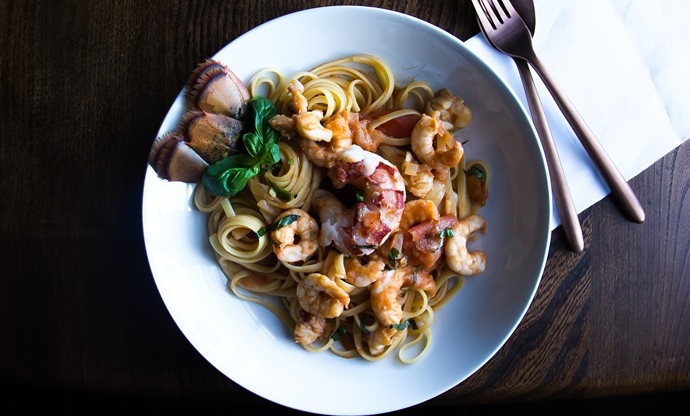 Continuing on with the fish theme, this pasta dish puts lobster – the king of seafood – centre stage, with support from fresh juicy king prawns and a rustic tomato sauce. If you’re after something a little meatier, try Henry Harris’ incredible Filet au poivre, which is simply presented but bursting with deep, savoury flavour. Vegetarian? No problem – Marcus Wareing keeps things super seasonal with his Queen Anne’s artichoke tart, which truly does look fit for a queen. Who could say no to this mouth-watering slab of sweet, high quality chocolate, combined with sea salt, dark sugar and cream before being poured into a homemade pastry case and sprinkled with cocoa nibs? 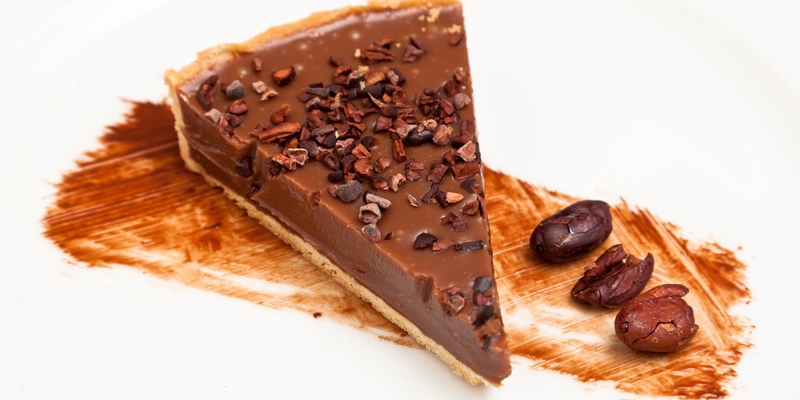 Serve it with a half bottle of super-sweet dessert wine for some added fruity flavour. The dessert plates may have been cleared away, but the night’s not over yet. 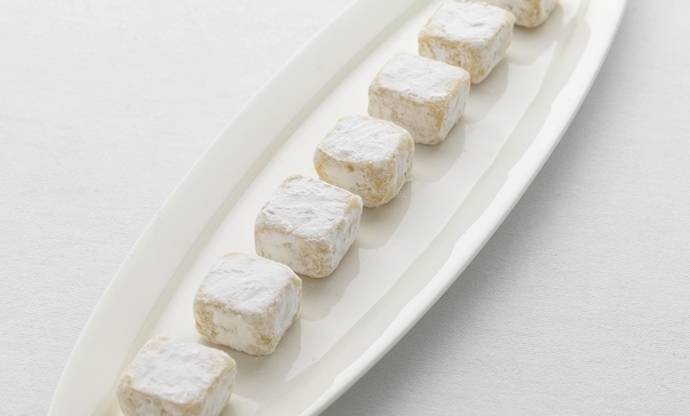 These dainty little treats from Martin Wishart are incredibly simple and only require four ingredients. They’re perfect alongside a strong coffee and see out the menu with a bang. 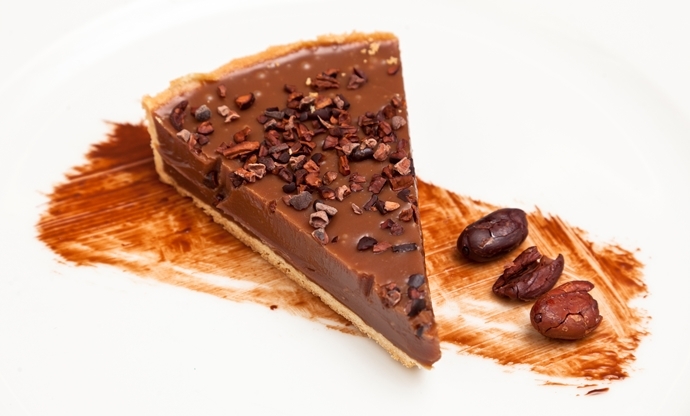 Can food really get us in the mood?